These are a series of simple clear tube packaging boxes with printed plastic lids, very economic but can be applied to a wide range of products and be produced in a quite brief delay. The material used is simply PVC board with 0.3mm of thickness, solid enough for common daily use. 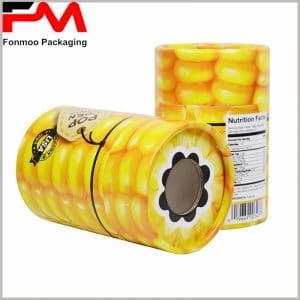 The advantages of this tube box is that it can be produced massively very quickly with good cost, and with printings on the lid, it gets a good balance between multi-usage and universal design. You can use it for food, small toy, small electronic product, etc. 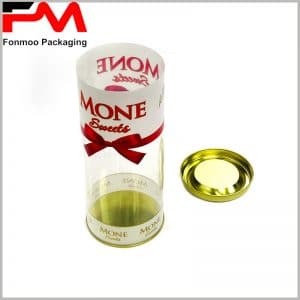 All just by changing the information printed with full color printing on the lid, and customers can observe the product directly through the transparent structure. 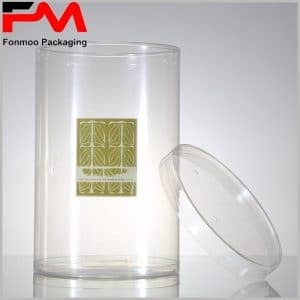 If you are looking for a fast-produced, economic, multipurpose transparent tube packaging box, here it is. 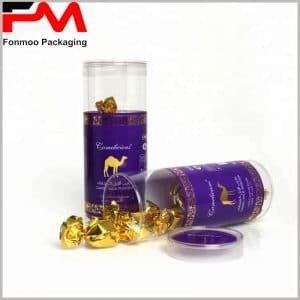 Tell us your specific needs of customization and let us bring you the ideal packaging box you want.